If you are looking for quality solar window films, our team can help! Keeping a vehicle or building safe from solar damage is very important for many in Raleigh, North Carolina. 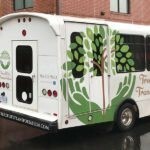 There are many different products available that can help you avoid damage from the sun, including solar window films from King Tutt Graphics. 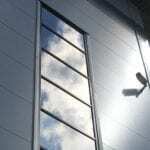 If you are looking for quality solar window films in the Raleigh area, we can help. 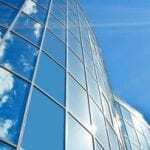 Solar window films can help control excess light and heat coming into your vehicle or building, which can regulate temperature as well as prevent the fading of furniture and other upholstery. At King Tutt Graphics, we are happy to help you determine the best possible solar window films for your vehicle or building, so you can keep your belongings in top condition. In addition to protection from harmful UV rays, solar window films can also be used to advertise for your business. At King Tutt Graphics, we have an excellent design and installation team ready to make your solar window films highlight the best aspects of your business. You can always count on us to provide the best products as well as exceptional customer service. 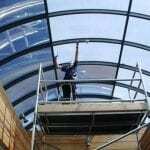 Our solar window films can have a high impact on the success of your business, and we are dedicated to making sure you are completely satisfied with our solar window films and other services. If you are looking for quality solar window films, come to King Tutt Graphics. With our competitive pricing and great services, we know you will enjoy working with us. Give us a call today to learn more!